Yanis Varoufakis, member of Syriza, has just been named Finance Minister of the new Greek Government. He was interviewed several times on FXStreet back in 2011 and 2012. In May 2011, when rumors of Greece leaving the Euro became persistent, our editorial team searched for voices of Greek English-speaking economists to express their view. We came accross the name of an economist, professor at the University of Athens, who was gaining public fame thanks to his blog. Noemí Jansana, back then the director of our Content Team, got in touch with him. He accepted our invitation and an interview was published on May 13 2011: ‘The Euro is not sustainable with the actual ECB and EcoFin system’. In this article, Noemi Jansana and Yanis Varoufakis were discussing the Greek debt restructuring, the Euro and the Troïka decisions. 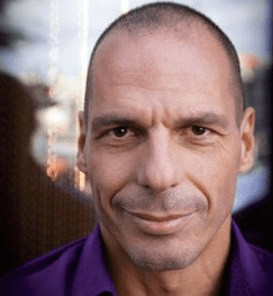 This interview is listed as his first media interview on his blog, yanisvaroufakis.eu. One year later, in June 2011, we contacted him again for an update about the supposed “Grexit”: ‘Rumours of a Greek exit is all smoke and mirrors, the Eurozone is simply not up to it’. Then another interview was posted on FXStreet, about the elections in Greece that were taking place a few days later, on June 17 21012, after all attempts to form a new government failed following the May election: ‘ND cannot rule on its own, it needs PASOK’. Those elections led to the formation of a coalition government with ND, PASOK and DIMAR. From August 2012, FXStreet began to re-publish his blog entries (“Thoughts for the Post-2008 World“). Varoufakis first studied mathematics and statistics at the University of Essex, where he received his economics doctorate in 1987. That represents another indirect relationship with us since FXStreet is partnering with that prestigious English institution on the Financial Trading Analysis course. From January 2004 to December 2006 Varoufakis served as economic adviser to George Papandreou. He wrote a series of books, the most famous being “The Global Minotaur“. SYRIZA won the legislative elections of January 25th 2015 and named Yanis Varoufakis Finance Minister of the new government coalition.